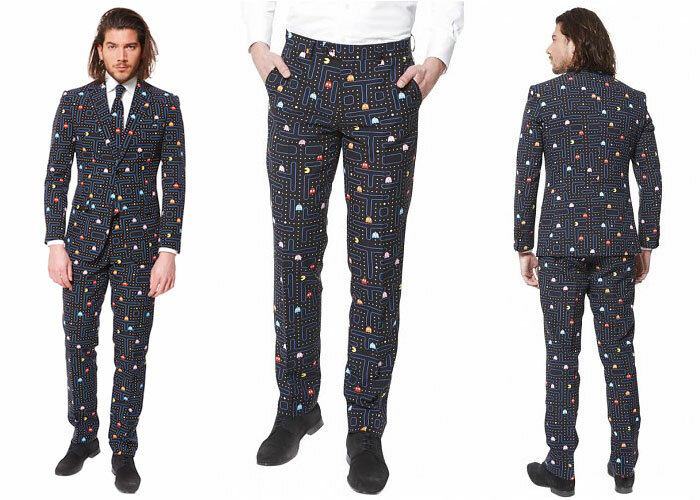 This Pac-Man Suit is a unique reply to stuffy office fashion, and is perfect for those solo nights at the bar. 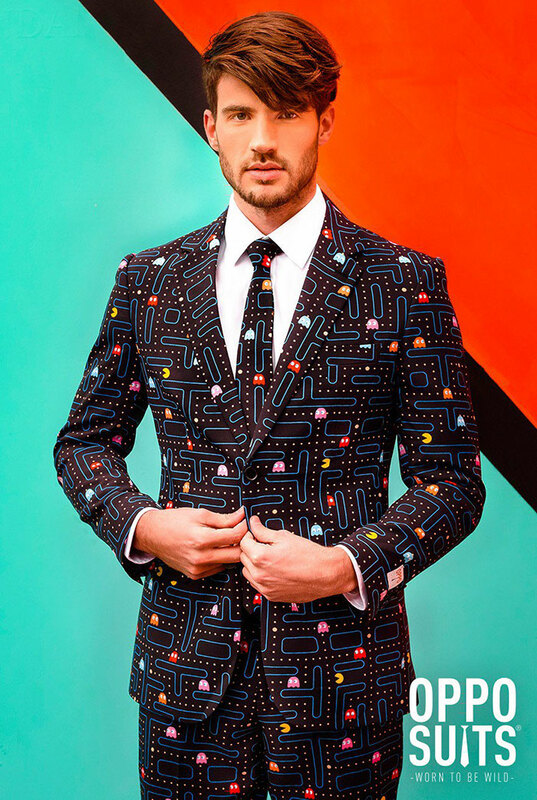 But if Pac-Man mazes make you or your date dizzy, then what about a Jack-O-Lantern suit for Halloween? 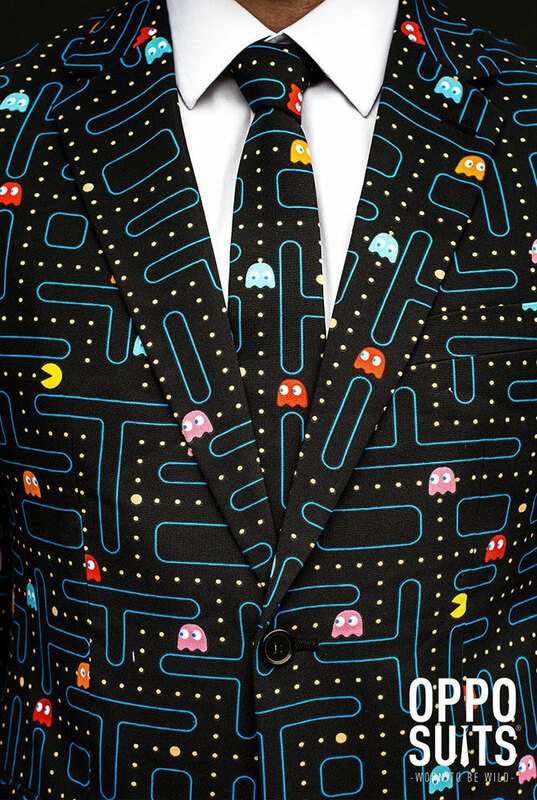 Or a Stars and Stripes outfit for July 4th? 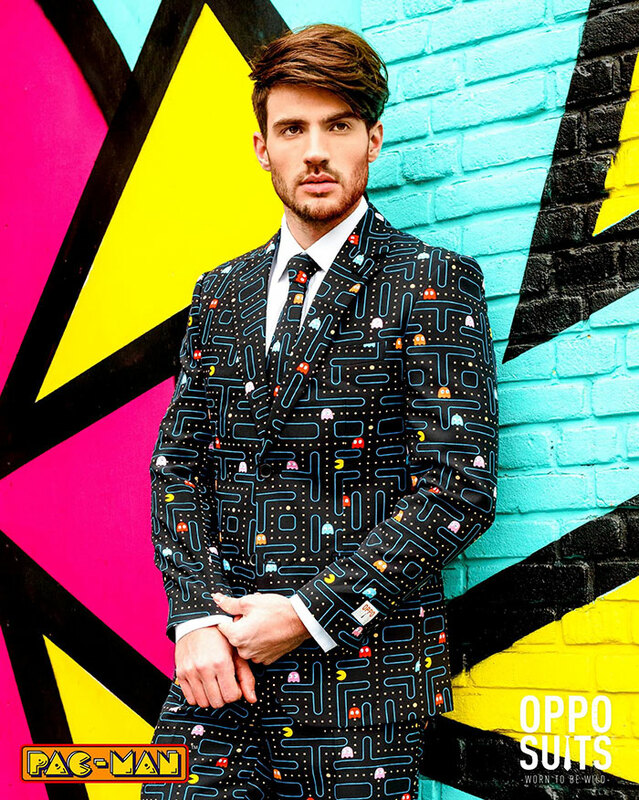 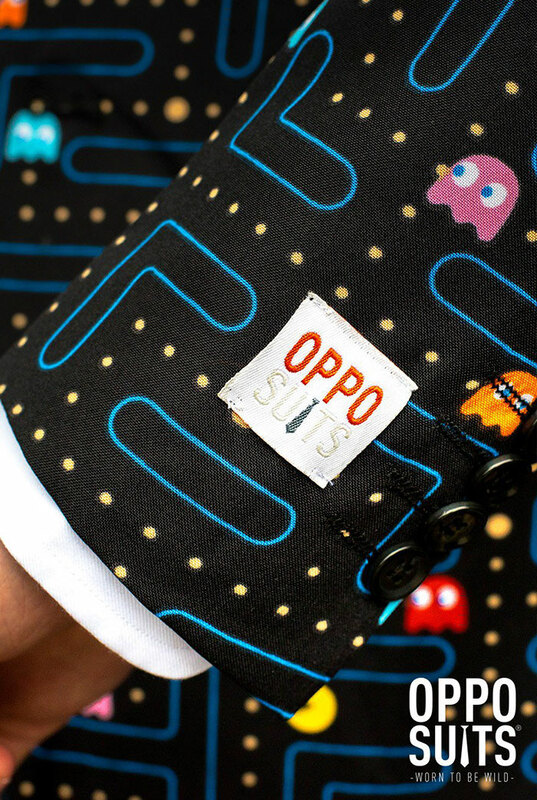 Made by OppoSuits, these stylishly cut, polyester suits can be yours for just 99 USD.